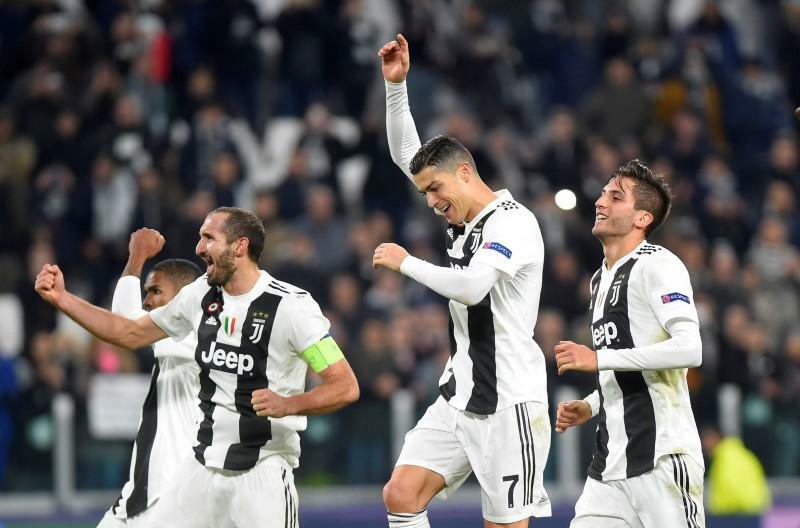 Mario Mandzukic scored the only goal as Juventus eased into the knockout stages of the Champions League on Tuesday with a 1-0 win over Valencia in their Group H clash. Cristiano Ronaldo provided the assist that allowed the Croatian to tap in just before the hour mark in Turin. Massimiliano Allegri's side will now have to wait to see whether they top the group when they play their final group game mid-December in Bern against Young Boys. Juventus have 12 points from five games with Manchester United on ten. "We've grown from last year," said Allegri, whose side were knocked out in the quarter-finals last year by Real Madrid. "We have become faster in playing the ball, then of course, there is Cristiano Ronaldo ... but we made some mistakes and we did not get a second goal, we have to improve. "Ronaldo gives us a sense of security and confidence, but the team is essentially the same as last season." The five-time Ballon d'Or winner was in top form in the Allianz Stadium with chances in the first three minutes, including a powerful drive straight at Valencia's Brazilian goalkeeper Neto. Juventus controlled the game with Rodrigo Bentancur and Blaise Matuidi masters of the midfield with Dybala up front flanked by Ronaldo and Mandzukic. Miralem Pjanic and Giorgio Chiellini had penalty calls waved aside, with Ronaldo again skimming the post after 25 minutes. "We should have been sharper going for the second goal," said Allegri. "Valencia proved they are in good shape, have the best defence in La Liga and it's not easy to score against them."